Three special demands were made upon the world, through the Three Little Shepherds of Aljustrel. Our Lady stated that only if a sufficient number of people obey these demands, the world will be saved from WAR, from the Horrors of COMMUNISM, and from the PUNISHMENTS OF GOD. PENANCE. PRAYER. CONSECRATION TO HER IMMACULATE HEART. PENANCE AND SACRIFICE are hard words to us, as well as being most unwelcome to most of us! The word PENANCE makes us think of LONG FASTS, WHIPPING OURSELVES, WEARING HAIR SHIRTS, and doing all kinds of things that we thoroughly dislike. We are not expected to be like St John the Baptist, and other great Saints and heroes in that way. NO ! Ours is to be THE LITTLE WAY OF OBEDIENCE TO OUR LADY ! We are going to take these three demands of Our Lady one by one, and we are going to see how simple and easy they really are, if only we will try to be honest with God and with ourselves. During these explanations I shall quote from the writings of Fr. de Marchi. I. M. C, who spent many years in Fatima, and who knew the Marto family, as well as Lucy and her family, very well. I shall also quote from «Nossa Senhora da Fatima», in its third edition, by Fr. 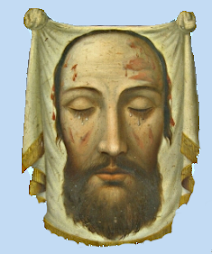 Fonseca. S. J., which is acknowledged to be one of the most authentic and most correct books on Fatima and its Message. What is the Penance demanded from all of us by Our Lady ? «... The Good Lord complains bitterly and sorrowfully about the small number of souls in His grace, who are willing to renounce whatever the observance of His Law requires of them. The Sacrifice that every person has to impose upon himself, is to lead a life of justice in the observance of His Law. He requires this way to be made known to souls. For many, thinking that the word 'Penance* means great austerities, and not feeling in themselves the strength, or the generosity, for these, lose heart and rest in a life of lukewarmness and sin. It is as simple as that! Here Our Lord confirms, and explains, the demand of Our Lady for SACRIFICE AND PENANCE ! It is simply a demand that we should KEEP OUR BAPTISMAL PROMISES. It is simply that we are to love God, and in loving God to avoid sin, and the occasions of sin, to set a good example — fearlessly — and be good Christians, with all that that implies. Mother Godinho, in Lisbon. Our Lady explained many things to this wonderful little girl, including some things dealing with impurities. We need only think of the Advertisements in our countries, both in the streets and in the papers. We need only think of many of the Pictures, the Magazines, the Cinema, the Television, the Fashions, the Bathing dresses (? ), the nakedness of the Naturalist colonies, the dirty jokes in conversations and books, the oceans of impurity in modern life, to realise that there is an immense opportunity, and necessity, for making sacrifices, sacrifices which are our plain duty to God and to our neighbour ! THESE sacrifices are a matter of DUTY. There are other Sacrifices — VOLUNTARY SACRIFICES — which Our Lady asked for from the children, at Fatima, and though them from all generous souls. Anyone, who loves deeply, will always find endless ways of making little sacrifices for the one they love! Dearest Jesus, teach us to love Thee MORE, and give us a deeper love for Thy Holy Mother too! It is not so very hard to go without an occasional cigarette, or some other little pleasure; it is not so very difficult to go without a little drink sometimes when we are thirsty; or to keep back an unkind or hasty word, or criticism; it does not cost us much, and it ought not to cost us anything, to give up a few minutes to tell Our Lord, in the Tabernacle, that we love Him; it does not take so very long to say an extra Rosary! There are many little ways of pleasing Our Lady, and making sacrifices, as the Three Little Shepherds of Fatima found out, and then acted so generously! NEVERTHELESS THE ONLY SACRIFICE BINDING ON US, IS TO DO OUR DUTY WELL! The second point is the prayer of the Rosary. Prayer is the lifting up of our hearts and minds to God. The greatest and most powerful, and most acceptable prayer in the sight of God, is the MASS. The Mass is included in our duty to God, and we are bound to hear Mass on every Sunday and day of Obligation. That is understood. Next to the Mass comes, for us, the Rosary. In Her visitations during recent years Our Lady has insisted upon the SAYING OF THE ROSARY. Our Lady knows the incalculable power of the Rosary, which is greater than all Atomic and other Bombs ! These lines are being written at the beginning of the Centenary Year of Lourdes, where the Holy Mother demanded the Rosary, where She taught little Bernadette how to make the sign of the Cross reverently-and well, before saying the Rosary. Our Lady, Herself, said the Rosary with Bernadette. NOBODY, on earth. KNOWS the unspeakable and incalculable POWER OF THE ROSARY. The Devil knows it and he HATES it, hating the very thought of people saying the Rosary! That being so, there is hardly any need of further argument to persuade people, who love God and Our Lady, as well as themselves, to say the Rosary very, very often ! At Fatima, and the Message of Fatima is essentially the weapon against the modern worldwide, soul destroying disease of Atheistic Communism and International Wars, Our Lady insisted, visit after visit, that we should say the Rosary EVERY DAY, and that we should say the FAMILY ROSARY also. Let us also remember how often recent Popes, who are God's Representatives on Earth, have urged the saying of the Rosary. Let us remember the great victory of the Christians at the Battle of Lepanto, and other great triumphs, due to the saying of the Rosary! At Fatima, as at Lourdes, Our Lady always appeared with a Rosary. When Lucy asked if Francisco would go to Heaven, Our Lady said that he would, but that he would have to say MANY ROSARIES first ! DO WE REALLY WANT PEACE? —the powers of evil do not want peace — If we do, then we must say the Rosary ! That is one of the essential conditions for Peace, laid down by God, through the Mediatrix of all the Graces! On October 13, 1917, at Fatima the day of Her last appearance, Our Lady said that She was THE LADY OF THE ROSARY, and that we must always continue to say the Rosary EVERY DAY ! Therefore everyone of us is bound to say the Rosary every day. On July 13, 1917, at Fatima, when Lucy asked Our Lady to cure the little crippled boy, John Carreira, (who now looks after the Capelinha), Our Lady refused to cure him but said that he must say the Rosary EVERY DAY WITH HIS FAMILY. The FAMILY is the strength of the Church and of the Nation. The FAMILY is the first object of attack on the part of the Devil and the Communists. If they can break up the HOME, and get at the CHILDREN, then they are well on the way to winning all the rest ! Our homes are in vital danger today. The destroying maggot is in our homes today, and it comes in with the consent of countless PARENTS. The destroying worm comes through many of the Papers, allowed into the homes, papers and magazines that would foul a manure heap, but which our children are allowed to absorb! The worm comes in through the SORED use of the WIRELESS AND TELEVISION, through the lack of discipline and control, through the lack of HOME LOVE! Childrens souls, today, are being sold for a MESS, not of potage as in the case of Esau, but for a MESS OF DIABOLIC AND IMMORAL PLEASURE! If we do not make the effort, and if thereby our homes are ruined and our children damned, there will be nobody to blame but ourselves ! And if we meet God, just after we die, and He says to us — «Go ye cursed into everlasting fire, prepared for the Devil and his angels!» we can blame noone but ourselves, because He told us that it would have been better for us to have been thrown over a cliff, with some stones round our necks, rather than that we should have caused scandal to one little child — and, God have mercy on us, many of us are doing that now! One more very important thing! This is done at Fatima, always, and in many another place, though many people have not yet learned to obey Our Lady, in this matter also. It is amazing that, in spite of all the warnings and in spite of all the amazing promises of wonderful blessings, 41 long years have passed and still people, people who know about Fatima, and pride themselves on it, simply ignore so much of what Our Lady asked us to do! Oh, JESUS, FORGIVE US OUR SINS, SAVE US FROM THE FIRES OF HELL, AND LEAD ALL SOULS TO HEAVEN, ESPECIALLY THOSE MOST IN NEED OF THY MERCY! This is the third demand of Our Lady, and it is VERY, VERY important. For nine long months the Baby Heart of the Infant Jesus beat close to the Immaculate Heart of His Maiden Mother. Two Hearts, literally, beating as One! Mary's blood poured through the unborn Heart of the Eternal God. In the Temple, the aged Simeon told the Virgin-Mother that a SWORD of SORROW would pierce Her Heart. On Calvary, the Spear of St Longinus pierced the Sacred Heart of Jesus, and made so big a hole that St Thomas could put his hand right into it! At the same moment a cruel sword of sorrow pierced the Immaculate Heart of His Mother, as She stood at the foot of the Cross! Two Hearts pierced, as One! In recent Centuries, devotion to These Two Hearts, has been preached by many, notably by St John Eudes. the Church has not yet pronounced on this — many important revelations are claimed to have been received by Bertha Petit, in relation to the Sacred Hearts, all of which were known to Pope Benedict XV, to St Pius X, and to others. WE have been redeemed by the Blood of Jesus, poured out for us in His Passion ! WE have been given Eternal Life, if we wish to receive it, through the Blood of Jesus! The Human Body of Jesus was given life by the blood poured into It from the sinless Heart of His Mother, Mary! Her blood gave Him life! How can we separate the Sacred Hearts ? In 1916, at Cabego, near Fatima, the Angel had united the Sacred Hearts in his prayer, taught to the three children. Our Lady Herself, at the very first appearance at Fatima, had asked for Reparation for the sins committed against the Divine Majesty (The Sacred Heart) and for the blasphemies against Her own Immaculate Heart. It was revealed to little Jacinta that God wants the Immaculate Heart of His Mother to be honoured, side by side, with His own Sacred Heart. What need is there of anything more? There is no need ! 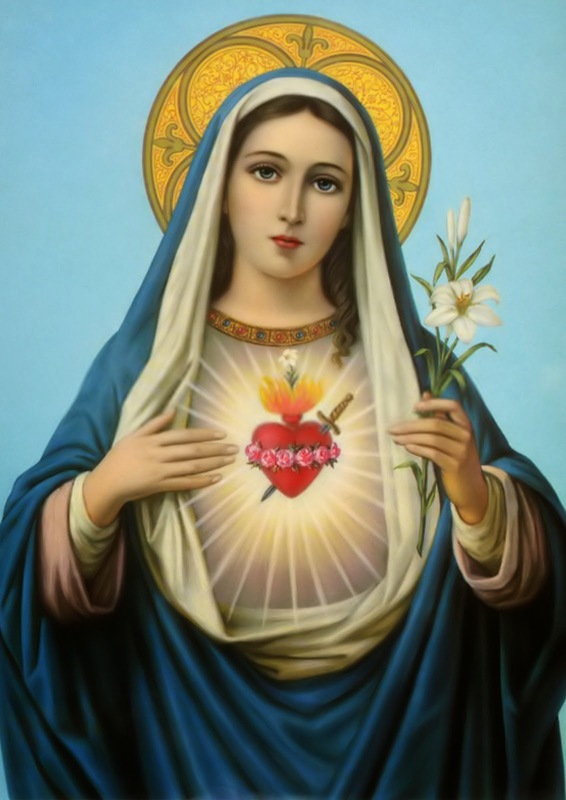 If we want to be protected in this world, if we want to go to Heaven for ever, then all we have to do is to cast ourselves into the Immaculate Heart of Mary, to give ourselves, and that means to CONSECRATE ourselves, to Her, to be ALL HERS FOR EVER ! By doing this we shall belong entirely to God, for what we give to Her, She gives to God! SHE IS THE WAY THAT WILL LEAD US TO GOD! Our Lady asks for the CONSECRATION OF EVERYBODY, of RUSSIA, of the WHOLE WORLD, TO HER IMMACULATE HEART. Our Lady said, at Fatima: — «My Immaculate Heart will Anally triumph! So that it is through the Immaculate Heart... that PEACE is to COME to the world ! It is through the Immaculate Heart that souls are to be converted, and sinners are to be brought back to God ! It is through the Immaculate Heart that the TRIUMPH of God's CHURCH is to come ! It is quite clear where our duty lies; it lies in consecrating ourselves to the Immaculate Heart of Mary! Here is a short Act of Consecration to the Immaculate Heart, which has the Imprimatur of the Diocese of Leiria (Fatima). THE OUTWARD SIGN OF OUR CONSECRATION IS TO BE THE WEARING OF THE SCAPULAR!